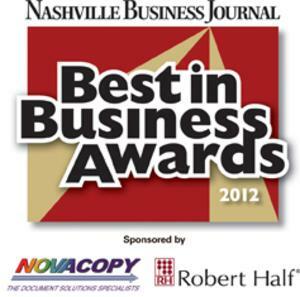 We’re excited to announce that Abenity has been nominated for the Nashville Business Journal’s 2012 Best in Business Awards. Thank you to those of you who nominated us – we’re grateful for the honor! Nashville Business Journal will announce the winners in April. Nashville Business Journal asked us several questions during the submission process that gave us the opportunity to dig into our company history, and it was fun to look back on lessons learned over the last six years and see how far we’ve come. Over the next couple weeks we’re going to share with you some of the answers we provided to the Nashville Business Journal – perhaps you’ll enjoy this perspective into Abenity as well. If you’re new to Abenity and browsing our site for the first time, here’s an overview that will help you get to know us better. Abenity makes it easy for companies, associations and alumni groups to increase their member benefits with a custom branded perks and discount program. Each Abenity program is packed with more than [offers] local and national discounts across [cities] U.S. cities and provides members with access to more than $4,500 in savings. Our best discounts are directly negotiated by Abenity to guarantee that our clients are receiving outstanding offers for their employees. Abenity’s program provides each organization with the flexibility to integrate an unlimited number of their existing perks and discounts and the ability to remove any Abenity offer that may conflict. Abenity’s Basic program is designed to help companies increase their benefits while maintaining the day-to-day administration of their discount program; Abenity’s Managed program is designed for companies seeking a fully outsourced solution. To learn more about how we can help a company or organization like yours, take a look at our programs and pricing. Prior to co-founding Abenity, Inc. in late 2005, Brian Roland worked with Sprint for five years to help increase employee engagement within Sprint’s top accounts through the provision of co-branded procurement websites that feature Sprint products and services at a discounted rate. Sprint believed there was a communication gap between their clientsʼ purchasing department and Human Resources department, causing the Sprint employee discount to be underutilized by employees. As Brian worked closely with some of Sprintʼs largest corporate accounts, including H&R Block, The Walt Disney Company, Northrop Grumman, Oracle, the U.S. Army, Boeing, and IBM, he realized that the issue causing under-utilization was not a communication breakdown between departments, but rather a result of insufficient resources within the Human Resources department. In many cases the Human Resources departments did not have the technological resources to efficiently keep up with daily vendor requests, new offer classifications, and the employee complaints they received. Brian immediately recognized the need for a web-based solution that makes employee discount administration simple, allowing Human Resources departments to stay focused on the day-to-day requirements of their business without giving up the world-class employee discount program they desired. While performing market research, Brian discovered very few options available for companies seeking a third party discount provider, and that many of the providers in existence simply used a companyʼs need for support as an opportunity to profit from advertising and insurance sales. With this in mind, Brian and his brother Mark Roland set out to develop a feature rich and affordable approach to employee discount program management without leveraging insurance or advertising sales. Abenity launched in late 2005 to help companies of all sizes increase their benefits through a world-class discount program for their members or employees. Since many organizations attempt to create their own member and employee discount programs internally and lack the technical resources and vendor relationships they need to grow and sustain their program, Abenity’s approach to private discount programs has been adopted by more than 100 employers, membership groups, and alumni associations including US Bank, Oracle, the University of Central Florida, Rutgers State University, the State of Michigan, Virgin USA, HCA Healthcare, and Harris Teeter. Check back next week to read about some of our recent accomplishments and challenges Abenity has had to overcome.